The Sloop Inn, Llandogo - What's New? On April 28th this year, the annual Whitebrook Wind Up takes place just 2.3 miles from the Sloop Inn. Each year this event goes from strength to strength, attracting 2-300 competitors. The going is tough, with all the course being offroad, featuring an elevation change of some 1200 metres. If you are one of the hardy souls competing, or you are coming along to support, how about making a weekend of it with a stay at the Sloop? With comfortable rooms and great food, you can start the day feeling good, and then relax away the aches and pains afterwards with great company in pleasant surroundings, before heading home refreshed. This is a very popular event, so call us now to make sure of a room or click in the header of any page to send us an email. They say that the road to a friend's house is never long. That may be true, but it is always nicer when the most direct route can be taken. Well, it is with gret joy that we can say that the A466 to the north of the Sloop is now re-opened. Visitors from Monmouth and all points between can now travel directly to the Sloop, the bus timeteable is back to normal and we look forward to welcoming everyone as per usual. Many thanks to all who stuck with us during the road closure and made the effort to overcome council-made difficulties to enjoy the hospitality, music, food and drink here at the Sloop. This time, he has missed so many bands through not being able to drive on account of being made of stone and just under a foot small, it has made him especially grumpy. He has become so grumpy in fact, that it was all just too much for one gargoyle, so he has had to split himself into two, just to accommmodate the level of grumpiness. That is a special trick, that only gargoyles can do, so please don't try it at home. The best way to avoid such grumpiness is to join all the other happy non-gargoyle types for live music at the Sloop, now twice a month! On Saturday the 6th of October, we have the very welcome return of Acoustic Union, who went down fabulously well on their last visit, so cast off gloom, abandon grumpy (no matter how much he begs to come with you) and get down for some great live music at the Sloop. 07/08/2018: Now is the Time! While the heatwave might feel relentless, the weather is not the only thing that should bring you to our neck of the woods. 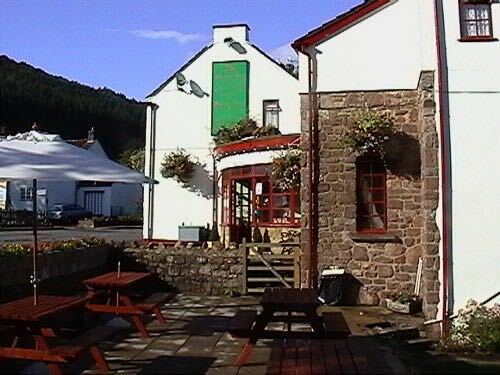 The Sloop is a large pub with restaurant area and beer garden that offers views of around the Wye Valley. On a summer's evening, you can hear the birds singing in this idyllic setting. In case you've sampled much of the local ale, we have rooms too where you'll enjoy your own space with en suite facilities. So now really is the time to take a few days break here. You won't be disappointed and who knows, you might even decide to extend your holiday and stay with us longer. 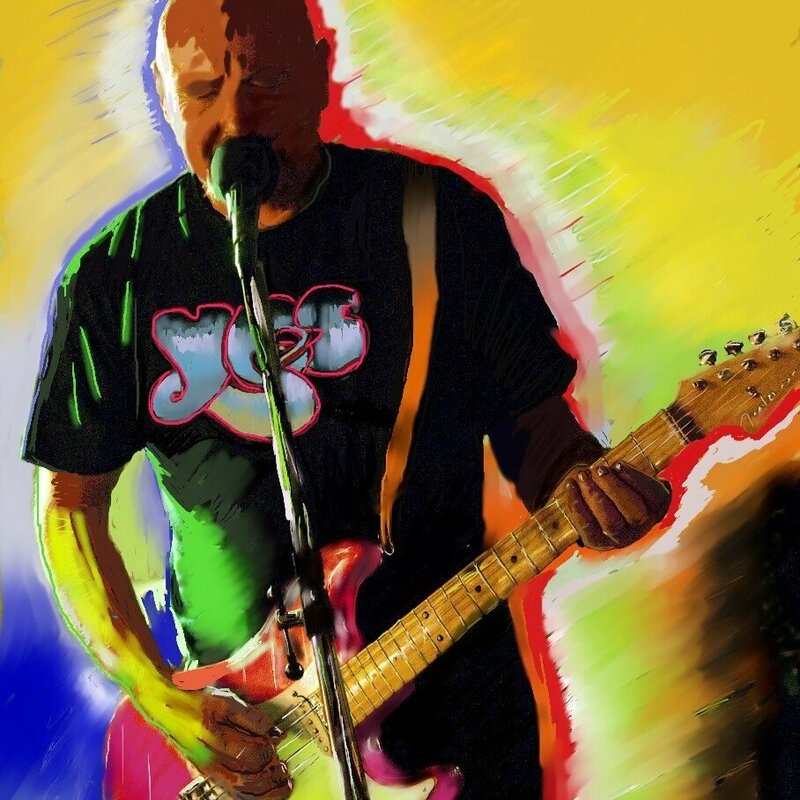 With the great response to our live music nights on the first Saturday of each month, people have been asking us for more live events at the Sloop. Starting in the early autumn, we will be hosting two live music Saturdays each month. A couple of new bands have already signed up for the extra nights, and the calendar is beginning to fill up already. For the latest news, keep an eye on our events page as new bands are being added to the schedule all the time. We look forward to seeing all our regulars, visitors and friends getting involved and enjoying the live music nights at the Sloop. 09/07/2018: Visiting the Monmouth Festival? Stay at the Sloop and make a break of it. The Monmouth Festival runs for nine days and evenings from July 27th. There is something for every taste in music, washed down with the best of local food and drink. 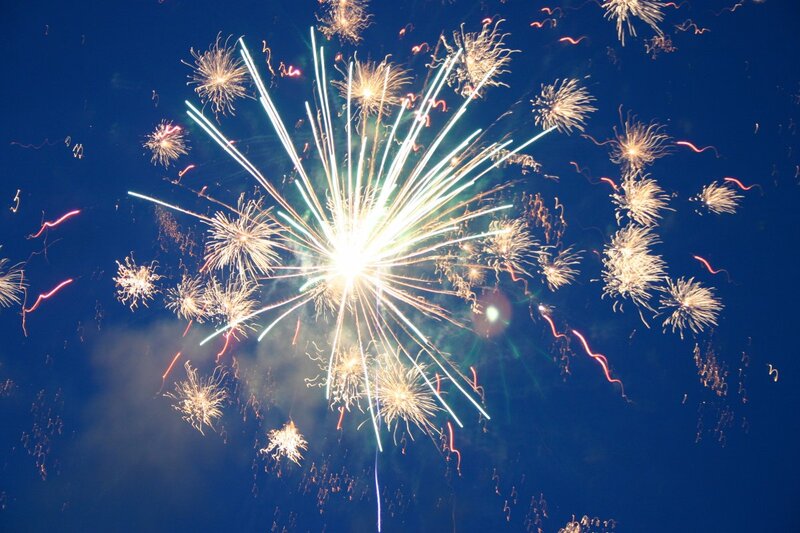 The festival closes with a spectacular firework display over the main stage, that will delight all children between 2 and 90. 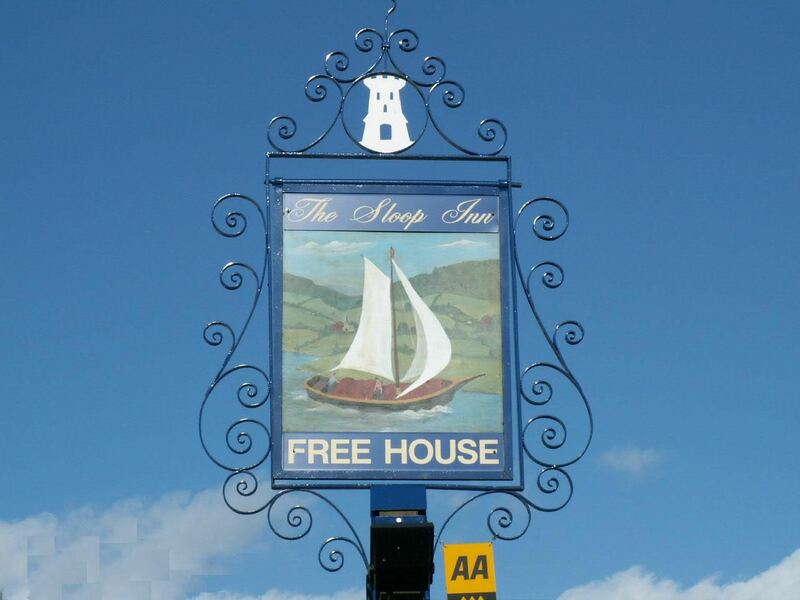 Being close to Monmouth, the Sloop Inn is an ideal place to make a real break of it. You can combine the joys of the festival, mingling with locals and visitors from all walks of life, with the peace of staying in Llandogo. Not to mention the great food and hospitality on offer in the pub. The area boasts walks and cycle rides, historical sites and great natural beauty, to taking a few days off from the daily routine here offers something absorbing for people with a wide range of interests. For the energetic, there is climbing, rambling or canoeing on the River Wye, and for the less energetic, this is a beautiful place for just sitting and watching the river go by with a nice cool drink or a picnic. 13/06/2018: The Monmouthshire Show and Live music at the Sloop. A perfect weekend! The Monmouthshire Show is just three weeks away now. This great celebration of all that is good about county life, takes place just five miles away from the Sloop on July 7th. Make a weekend stay of your visit and take in so many of the other great sights and events held just a stone's throw from our door. 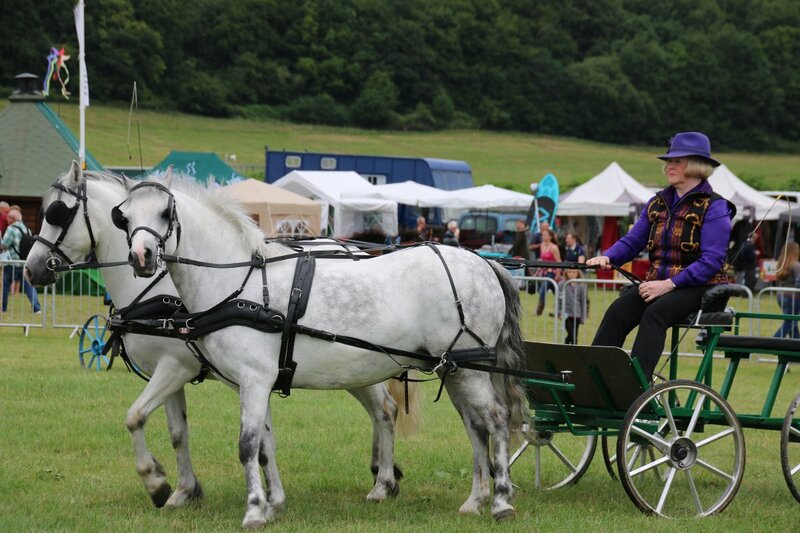 With a spectacular array of sports and equestrian events in the main ring, displays of country crafts, sheepdog demonstrations and stunts, the main ring holds something for everyone who loves the countryside. Add to that the mouthwatering selection of local food and drink bursting forth from the food hall and many stalls around the maes, then the sales of art and crafts from local producers, along with country clothing and all manner of local businesses, to make a splendid day out. 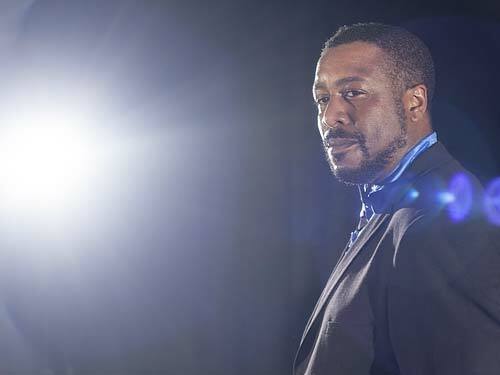 After the show, you can relax and enjoy some great live music, with Soul Legends appearing in the bar from 9pm. Relive your favourite classic soul hits, delivered in a way that has... well, soul really, lots and lots of soul. Soul to make you jump up and dance, soul to make your heart melt. Whatever you love about soul, you will find it here. All that walking around and enjoying yourself is likely to build up a fair appetite too. While you are waiting for the music to begin, there is plenty of time for a delicious dinner. Our menu has something for all tastes, with local produce featured as much as possible. Refresh, recharge your batteries and look forward to a great walk around some of our local beauty spots the next day to round off the experience. 05/05/2018: Live music at the Sloop to cheer anyone up! Why does this gargoyle look so fed up? He sits overlooking the River Wye in a nearby garden in Tintern. It's probably because, being made of stone, he can't make the three mile trip up the road to the Sloop to see the Harrisons play here live next Saturday. If you don't want to end up looking glum, don't forget that our live music Saturday is a week later this month owing to the bank holiday. As always, the place will rock as the band play their hearts out, there is great beer and great company. 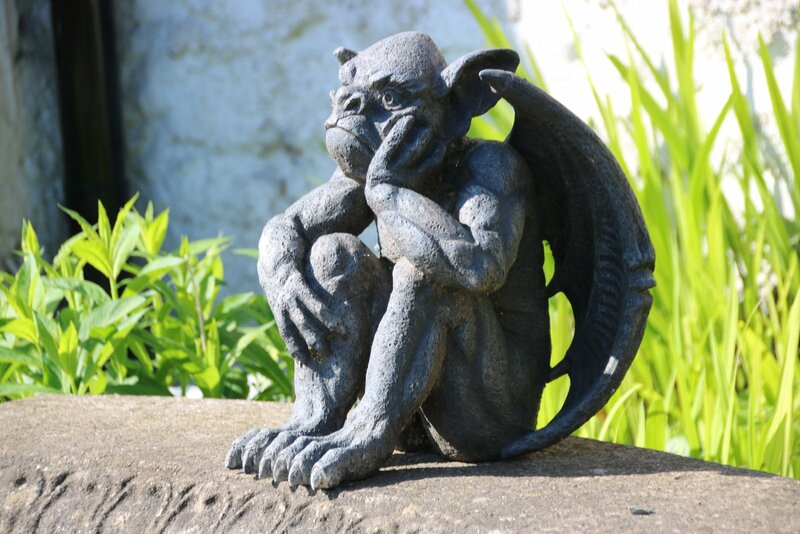 Don't be a gargoyle! Come to the Sloop and be happy! At The Sloop Inn, we pride ourselves on our selection of drinks but more than that, we love to give a warm welcome to friends old and new. You'll receive a warm smile and hospitality at The Sloop Inn and as we are based in South Wales, you'll also experience a range of varied weather on an hourly basis! 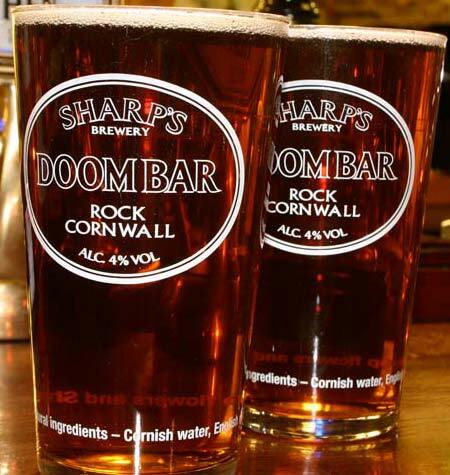 Humour and hospitality go hand in hand so if you fancy heading over this way for a break, a holiday or even just an evening, you'll be sure to enjoy every moment if The Sloop Inn has anything to do with it. We're pulling a pint for you now. See you soon. If you have been fancying a trip to the Sloop but have been put off by recent road closures, especially from the south, there is some good news for the Easter holiday. 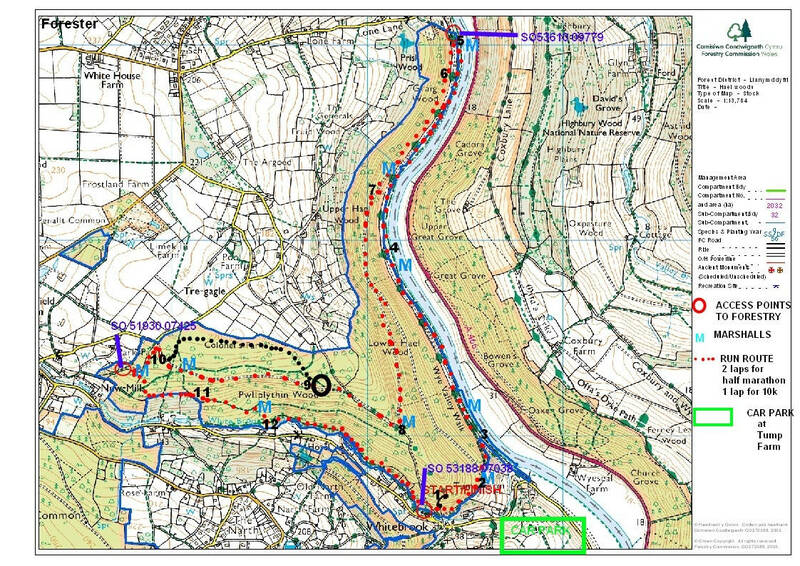 The latest word that we have from Monmouthshire County Council is that if it is safe to do so, the A466 road closure will be removed to allow traffic to get from Chepstow to Tintern, Llandogo and beyond. Sadly, they can't do much about the weather forecast, which is still looking a little gloomy for Easter in these parts. Not much good for being out and about, but perfect for enjoying a great meal in the warmth and comfort of our newly refurbished and redecorated bar. 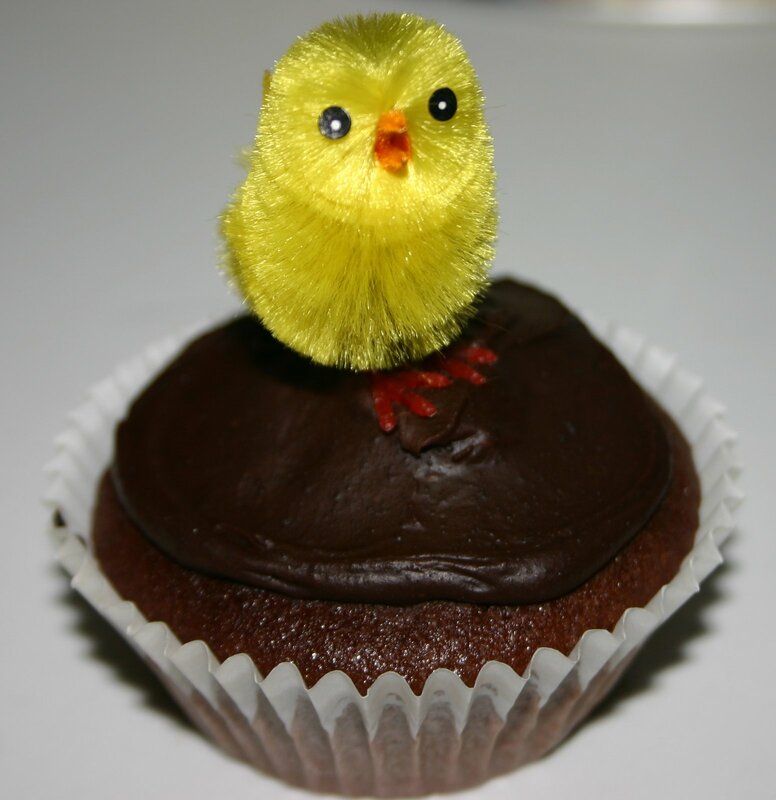 Join us over Easter for a relaxing lunch or dinner in great surroundings with good company and a warm welcome. We can't make the sun shine, but we can offer good company, good food and good selection of alcoholic and non-alcoholic drinks. It's that time of year again. 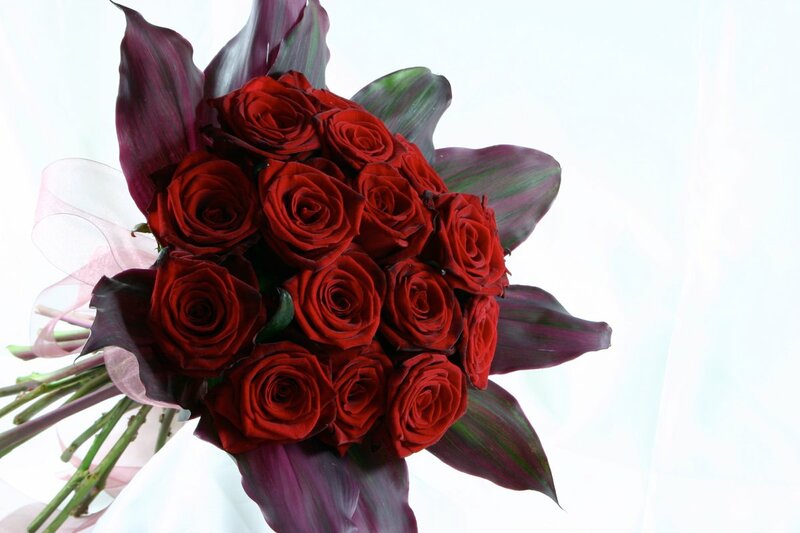 The Six Nations is in full swing, there is St Valentine's day just around the corner and Mothering Sunday roaring up very quickly. Napoleon Bonaparte said of champagne "When I am victorious, I deserve it, and when I am not, I need it". Champagne may not be your tipple, but at Six Nations time, there is much cause for both celebration and commiseration. There is no better place to share all that emotion than in the Sloop. With enthusiastic regulars, everyone is welcome, regardless of which nation they support. And talking of emotion, in just over a week, it will be St Valentine's Day. We try to make every day special for our customers here, but for an extra special treat, book yourself plus loved one into our restaurant and gaze longingly at each other over a plate of something delicious. We still have some tables left but booking is recommended. December is with us and winter is closing in, Christmas is just around the corner and this is always a popular time to think about winter breaks, now and for the new year. With limited time available before the whole country goes on holiday, many customers of ours like the idea of a romantic Christmas break in rooms or an evening together for dinner in our restaurant. It doesn't have to be an evening just for couples either; sometimes a girls' or boys' night out is just the thing to get you in the festive mood. Whatever it is for you, ensure you will be making the most of your last opportunities this year to benefit from the food, warm welcome and enjoyment of time well spent in the Sloop Inn. We look forward to welcoming you to a festive filled with friendship. One last thing, Christmas Day we will be open from 12 until 3pm for all favourite drinks only. It has started. That feeling is in the air. The feeling, of course, is that fast approaching festive season. Fear not, though, because while the world rushes around preparing and readying themselves, we are here offering you a peaceful place to relax before it all happens. The thing is about the Sloop Inn is that if you want to keep up with the busyness of the world, our rooms have free wifi access so you won't miss a moment. But if that is not your 'thing', we can also provide you with peaceful rooms overlooking green fields and cuisine to make your mouth water. Now, in November, is the time to take that last minute break. To ready yourself for the festivities. Speak to us soon. We'll be waiting for your call. In the later part of autumn, the Wye Valley scenery becomes more dramatic. The soft green curves of summer giving way to an ever changing kaleidoscope of foliage colours paints picture after picture for those of us lucky enough to spend time here. Spending a few days at the Sloop gives you a great location for long, romantic walks, breathtaking views and fascinating places to explore or forage fungi. The season for many edible varieties starts in November. Then at the end of the day, you can enjoy great company, hearty, warming food, local ales and traditional pub atmosphere while you warm yourself by the open fires. With Chepstow and Monmouth both a short distance away, there is plenty here for history lovers to soak up too. From the birth of two Kings of England, to the Chartists' trial in Victorian times, as well as shipbuilding and iron foundry relics going back many centuries, this area has a wealth of stories to tell. Even though the weather is going to start getting colder soon, don`t worry because we still have plenty of sunshine to enjoy while this month is with us. The Wye Valley is particularly pleasant this time of year and, as the Inn is situated between Monmouth and Chepstow, you can imagine the beauty of the landscape in September. Autumn is a time for exquisite colours, for brightness yet warmth, for that much needed break or that timely evening out. 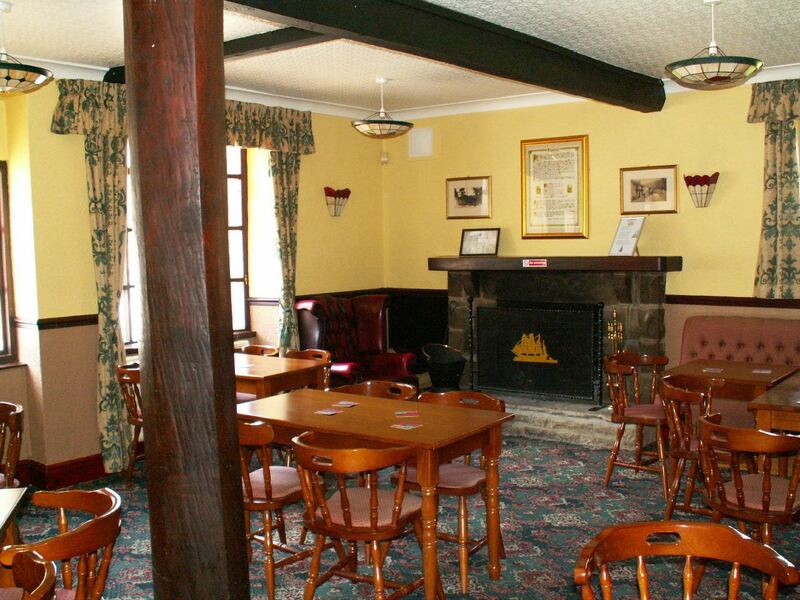 The Sloop Inn provides that warmth in its welcome. A feast awaits your eyes as well as your stomach with an abundance of delicious dishes on the menu. Should you require an autumnal break, rooms are reasonably priced yet the offerings are more than reasonable. Regular customers enjoy a professional yet friendly service so if, like them, you prefer to deal with a traditional Inn that hosts history and gastronomy in abundance, get in touch now to books that special weekend or half term break. August, named after the first Roman Emperor Augustus, is now with us. We still have our beautiful summer weather, and a bank holiday to look forward this weekend. So while the summer sunshine is still beating down on us, why not avail yourself of the history and welcoming atmosphere of The Sloop Inn based in Llandogo? Emperor Augustus had the month August named after him because of all the fortunate things that happened to him in that month, so August is the month for fortunate things! Who knows? An evening there may bring you good fortune too? On top of that, if history is your thing, a little research and chat with the owners could bring about some fortuitous knowledge too. Did you know a stream used to run beneath the building? This and many other exciting pieces of information can be found by spending time at The Sloop Inn. Simply click the header image on any page to send us an email. Our spring/summer 2017 programme of live music is now well and truly under way. So far we have heard from the Earl Band and the Godseys, both playing to a packed house of locals and visitors. The first Saturday of the month is the time to get to the Sloop and listen to some great acts. With a variety of music styles on offer, the calendar of events has something for all tastes. 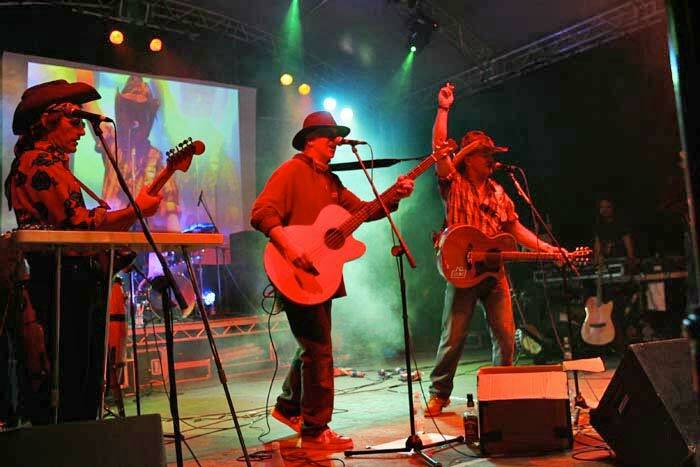 Next on is Tres Hombres who will be delivering a fine mix of classic rock, blues and soul songs in fine style. March is a great time for meals with the family or spending time with friends. There is going to be a lot to celebrate this month too, including the days celebrating the Saints St David and St Patrick, as well as Mothering Sunday. There is live music on the first Saturday of each month. The next gig is the Earl Band, live on April 1st, which is close to March, close enough to get a mention here anyway. 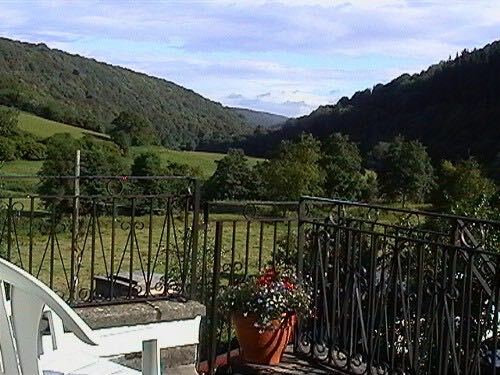 Llandogo is a great place for a couple of days getaway at this time of year, being close to Chepstow and Monmouth, there is always plenty to do as well as being based in the small, friendly village of Llandogo, you are far enough away from everything to enjoy peace, quiet and solitude. With a little luck, the weather will make it possible to enjoy our spacious beer garden in the afternoons and early evening, while watching the late light painting the hills and trees in rich, warm colours and tucking into any of the delicious dishes from our menu. If you would like to book a table for your family or group for one of the significant days in March, or just have good food, drink, company, log fires and a warm welcome in our traditional pub, call The Sloop Inn on 01594 53029 or click in the header of any page to send us an email. Every time of change is a time of opportunity. This is very true of January, the perfect month to look back on the previous year and of course look forward to the coming one, make the most of the new year opportunities ahead. Janus, the Roman god who gave this month its name looks forward and looks back and, we are sure would appreciate the consistently high standards of meals with the family, spending time with friends. By focusing on our customers including local customers, friends and families throughout Llandogo and the Wye Valley who come to us for the great food, company and atmosphere from our traditional pub. Many photographers, artists and painters come and stay with us to make the most of the natural beauty of the area and early and late light. While here they enjoy the hospitality. Make a great start to the year ahead by book a table for your family or group then sit back and enjoy good food, drink, company, log fires and welcoming atmospheres. 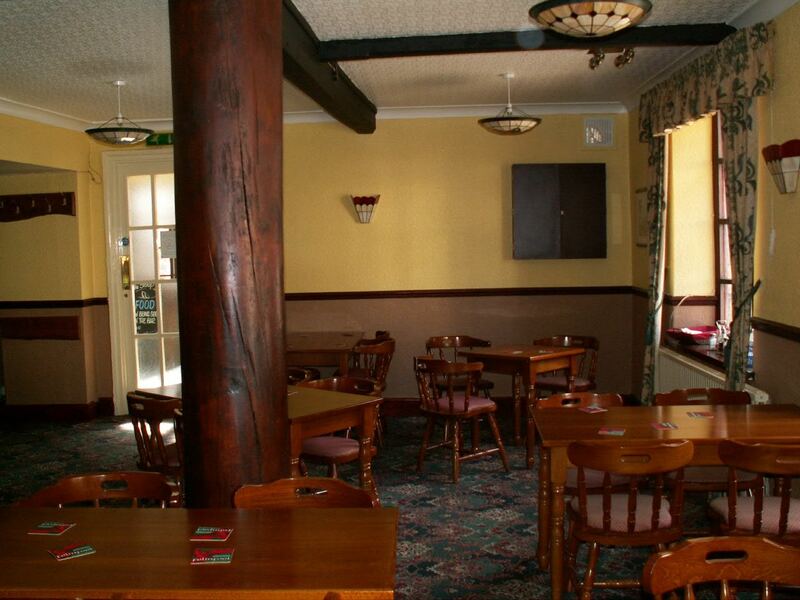 All you need to do is call The Sloop Inn, 01594 53029 or click in the header of any page to send us an email, and relax. 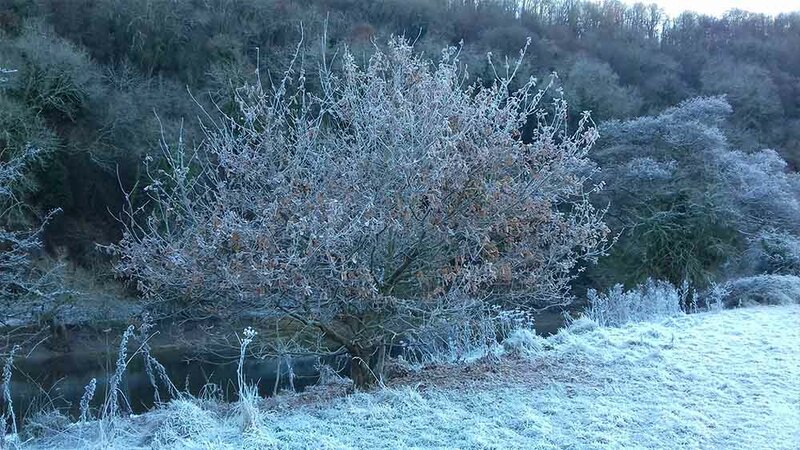 The Wye Valley is a treasure trove for artists and photographers at all times of year. 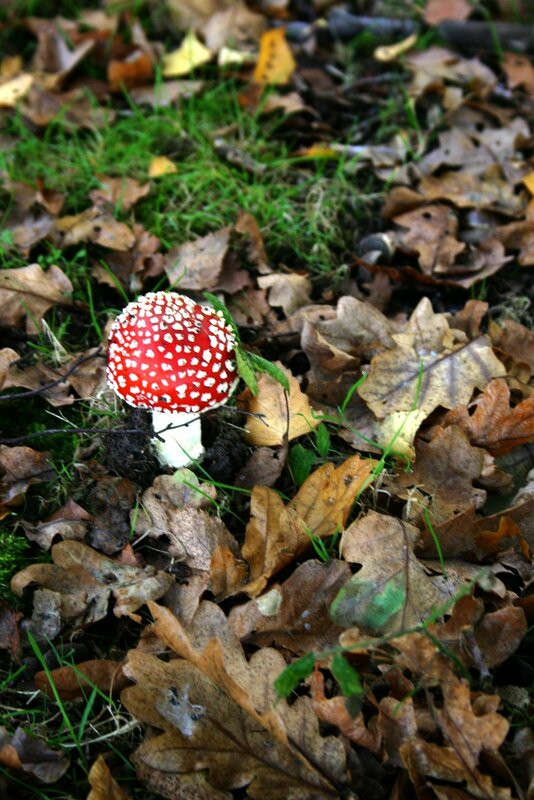 However, autumn brings forth a veritable feast of colours and moods. With the immense variety of trees lining the valley slopes, every day brings a new variation on the colours of the day before. With leaves changing colour at different rates, the area becomes a giant, slow motion kaleidoscope. Everywhere you look there is an opportunity for painting or photographing the scene. 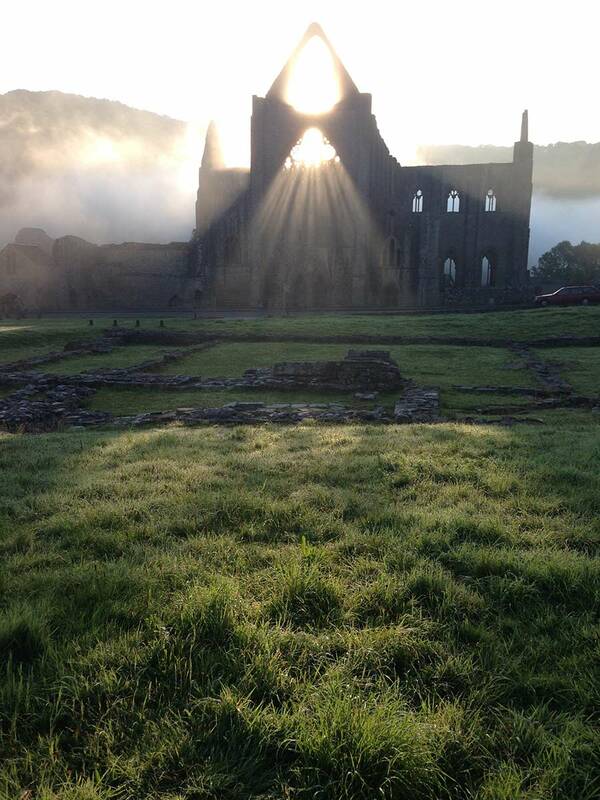 With early morning mists diffusing the light, you will be amply rewarded for setting your alarm. Atmospheric scenes abound and the quietness of the area takes on a new dimension. You could be a million miles away from everywhere. However, conveniently, you are just a few miles from all mod cons, it is just peaceful enough around here to believe that you are far away from it all. With the comfort, conviviality and good food of the Sloop Inn close at hand, your stay in our comfortable rooms will be an enjoyable one. If you really can't wait to share your images with the world, there is free wifi throughout the building too.